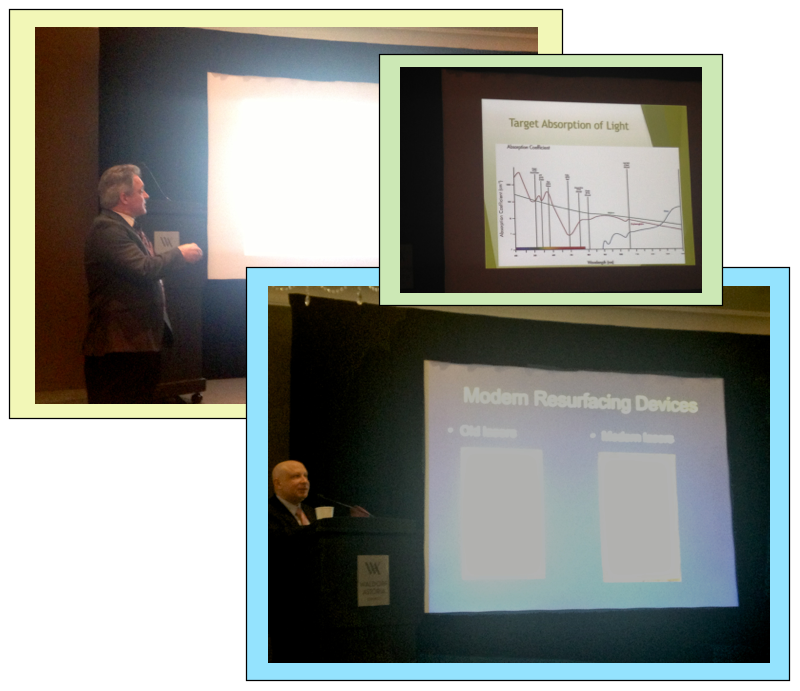 Speakers Jason Pozner, MD, FAC and Stanley J. Kovak, MD just schooled all of Chicago (and surrounds) last weekend on Combo treatments with amazing Sciton laser technologies at the Waldorf Astoria. Sciton (as I’m learning over time) has awesome, advanced, and highly-customizable phototherapies for many different aging and sun-damaged skin types. These lasers are complex, and behind the scenes you would hear that they aren’t for the beginner laser practitioner. Even with as much experience as I have doing laser treatments, I’m learning a lot (well, a TON) and am enjoying every minute!! The results are significant- and I’m looking forward to learning more every day under the direction of my physician. YEAH! Thanks Sciton, Dr Pozner, and Dr Kovak! I learned a ton!